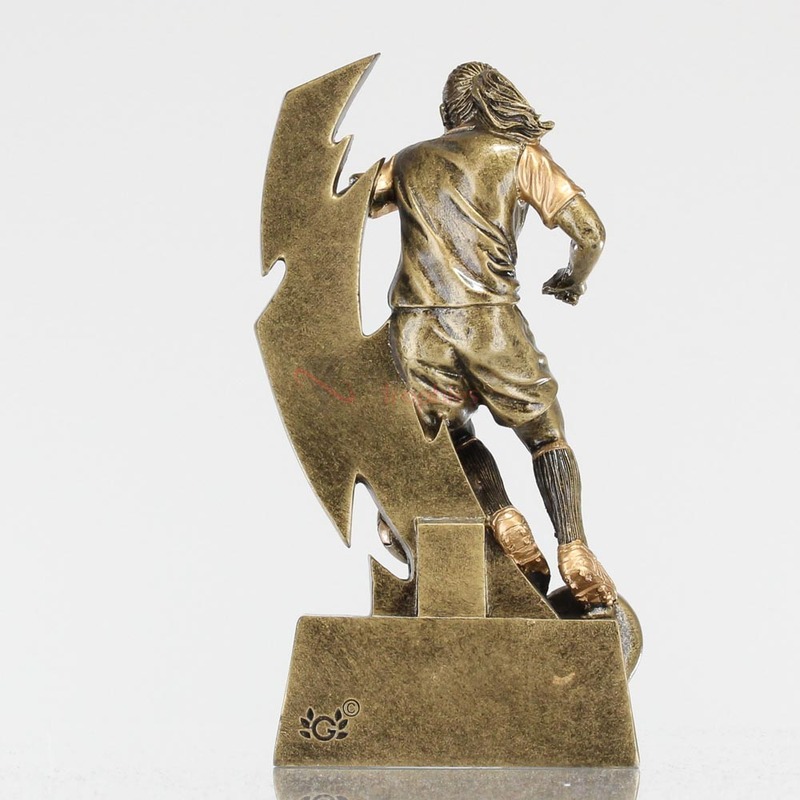 Lightning strikes with these great football trophies. 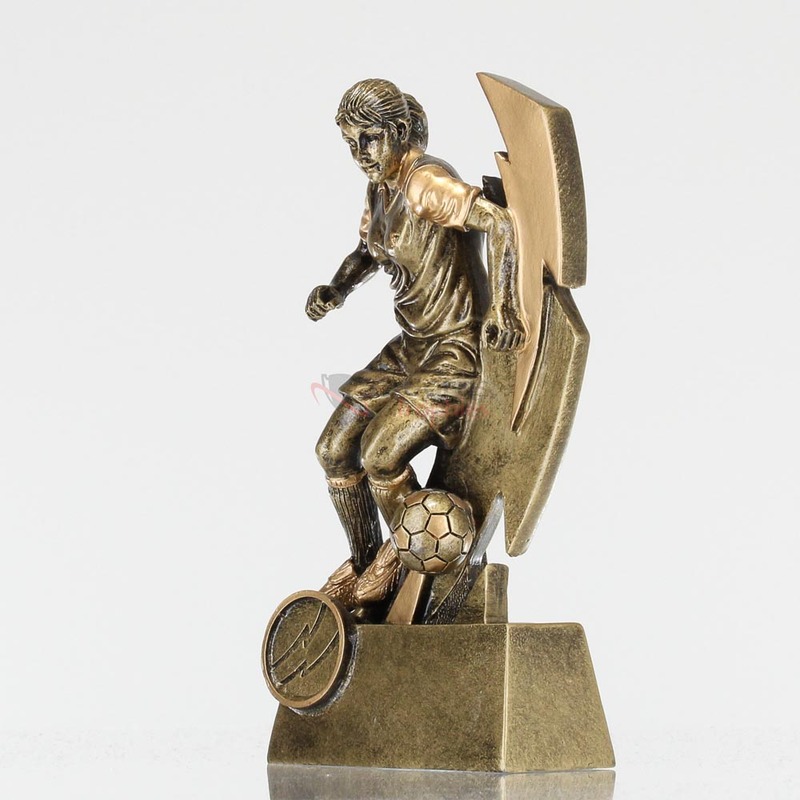 Depicting a female soccer player atop some stylish lightning bolts, this range of sporting trophies is sure to impress all the hard workers in your club this year. Why not add your Club Logo in colour? We can personalise this trophy by covering the generic lightning bolt symbol with your own Club Logo printed in colour on a 25mm disc.